Wow ! Exciting Offers in September 2018! 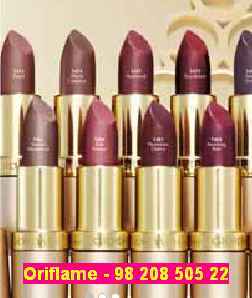 Anyone who wants to Join Oriflame can buy Oriflame products worth Rs 2000 and start your business with Oriflame. Once you join Oriflame for free, when you place your first order you start to get discounts. Note: This offer is valid till 30th September. After this date, you can join Oriflame by purchasing products for your family. All those who join Oriflame your friends, relatives, etc in this month will get special gifts. And if you are ambitious and you want to become a Manager in Oriflame. Please speak to me personally. But wait a minute. Don't be in a rush to join Oriflame with a consultant who has a short term view. Join with someone from whom you can learn and become successful in Oriflame. Because there is lot of money to be made in Oriflame by working from home, provided there is someone who has got success and can guide you properly. If you just want to be a normal Oriflame Consultant who circulates Oriflame catalogues among friends and is mainly looking for products on discount, go ahead and sign up! And if you want to earn a lot of money with Oriflame, you can be part of my winning team and learn the secrets of how to grow fast in Oriflame. If you are willing to learn, I will teach you everything step by step. Golden-framed, aviator style sunglasses with rose-tinted lenses and pink tips in a floral pouch with a pink wiper inside.Materials: Copper, Cellulose, PC, Polyester, Silicon, Stainless Steel. 100% UV protection. Exciting Welcome Program Gifts worth Rs 4000 on joining Oriflame! Step 2 - Place accumulated personal orders of 100 Bonus Points in your second month in Oriflame and get gift set valued Rs 1500 for Rs. 100! Step 3 - Place accumulated personal orders of 100 Bonus Points in your third month in Oriflame and get gift set valued Rs 1700 for Rs. 100! If you want to join Oriflame or buy Oriflame Products or strat Oriflame Business write to me on jashmiw@gmail.com or call me directly. When september flyer is to be launched..i m eagerly waiting.